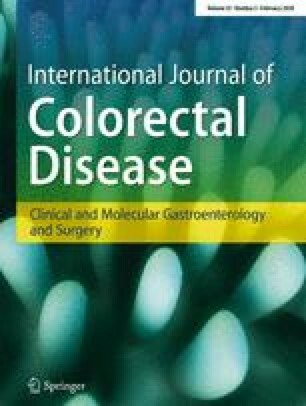 To obtain data on locoregional recurrence and survival rates in prognostically inhomogeneous pT3 rectal carcinomas we analyzed the data on 853 patients of the Erlangen Registry for Colo-Rectal Carcinomas (ERCRC) and 600 patients of the Study Group for Colo-Rectal Carcinoma (SGCRC), stage I–III, treated by radical surgery alone. The category pT3 was subdivided according to the histological measurement of the maximal tumor invasion beyond the outer border of the muscularis propria: pT3a (up to 5 mm) and pT3b (more than 5 mm). In the ERCRC locoregional recurrence rates were 10.4% (95% confidence interval 6.0–14.6) for pT3a and 26.3% (20.6–31.6) for pT3b (P<0.0001). The cancer-related 5-year survival rates were 85.4% (80.6–90.5) for pT3a and 54.1% (48.5–60.5) for pT3b (P<0.0001). Lymph node negative pT3a and pT2 patients showed very similar 5-year survival rates (91.2% vs. 93.6%, respectively) as well as lymph node positive pT3a and pT2 patients (77.8% vs. 82.8%, respectively). In the SGCRC patients similar but statistically marginal differences between pT3a and pT3b tumors were observed. An extended pT classification (pT1, pT2, pT3a, pT3b, pT4) thus allows an improved prediction of outcome in rectal carcinoma patients. The subdivision of pT3 enables the identification of stage II patients (pT3a pN0) who might not benefit from adjuvant treatment.